Software settings are the easiest and cheapest (free) way of improving the quality of your webcam output. I have tweaked with this webcam for countless hours trying to get the crispest image for my stream. 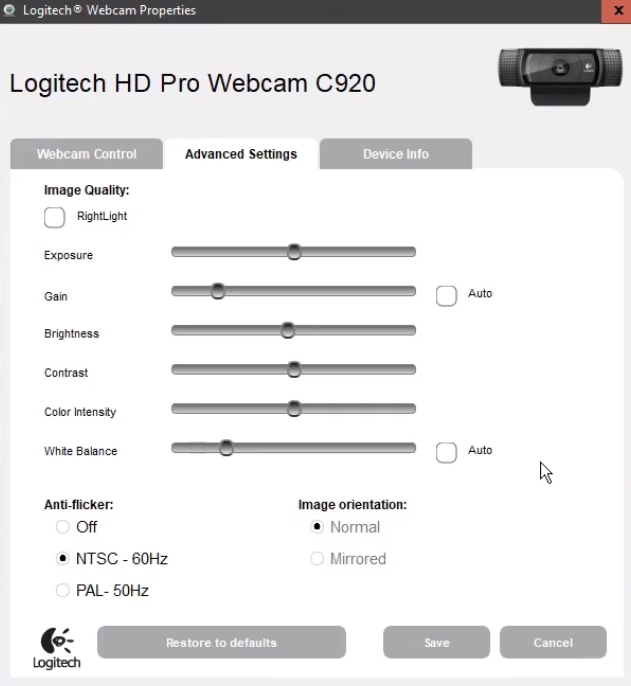 I’ll take you through the software interface to show you the best settings for the Logitec C920 (you can see the price here) that give an awesome image output at 900p 60fps for my streams (take note: this webcam only records at 30fps). The whole point of these settings is to make it so that you Logitech C920 is taking on as little processing power needed – this will allow for a smoother image at a consistent 30fps. If we leave everything on auto, have the camera track your face and all of the other auto features that the camera does – the image can become ‘choppy’ because it is doing all of the work to figure out what settings it should be using. 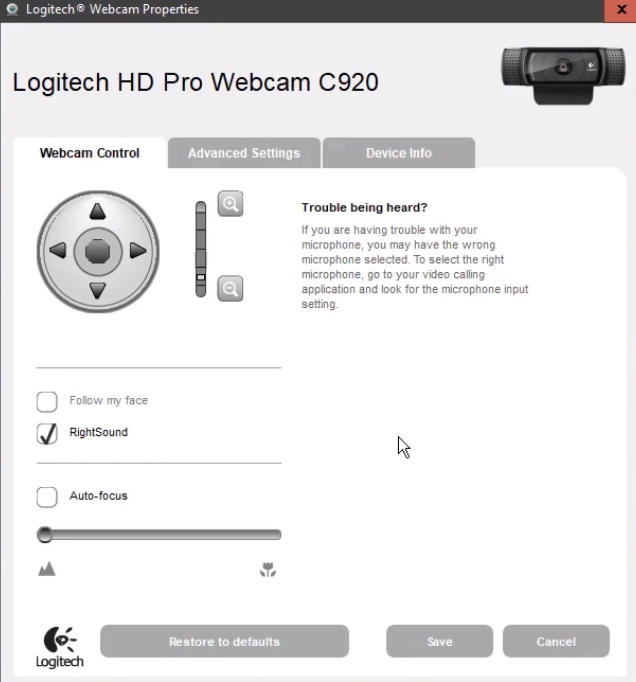 Access the webcam properties by opening your Logitech Webcam Software. I don’t really change much here since it is all usually set to what I need. You can zoom in and out of the screen with the slider where the magnifying glasses are – just set this so you’re in frame. I don’t find the ‘Follow my face’ setting useful at all, it just causes the webcam to move around a bunch when I’m sitting still in a chair. 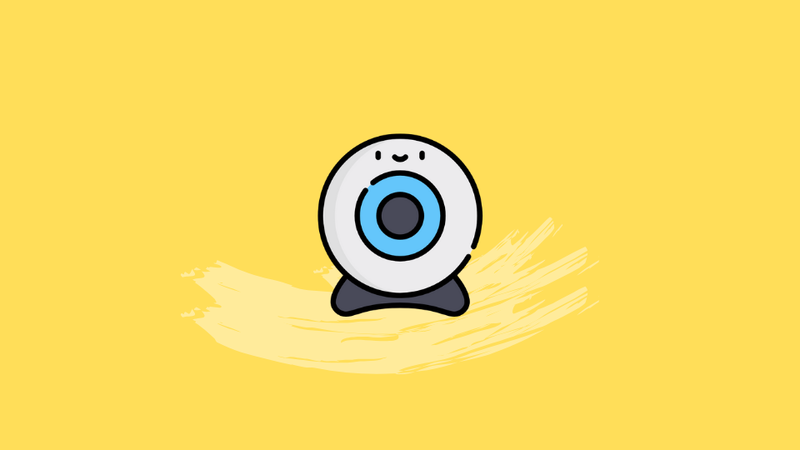 RightSound is used if you want to use the built-in microphone in the webcam – this is strongly not recommended and it’s encouraged to spend the extra money to get a decent audio setup. 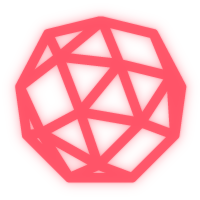 Autofocus isn’t really needed as well since you’ll be mostly stationary while you’re streaming and it has caused issues in the past where it just goes blurry when it tried to focus on something else. Feel free to try it but it’s not needed. Instead just set the focus with the slider underneath the checkbox and leave it like that – you’ll only need to change it if you are bringing something super close to the cam when trying to show something. These settings will most probably be different for everyone because no one has the same surroundings and lighting setup. Here’s how to optimize these settings for your setup. First, set all of the settings to auto and let the camera adjust to what it thinks is best – this is a great starting point. Next, turn off all of the auto settings and tweak the sliders until you have an awesome image. Exposure: opens up the camera to let more light hit the sensor. When this is set too high you will see that the image isn’t as smooth because it doesn’t know what do to with all of the light that needs to be processed. Grain: This will artificially bring up the light in your image. This is good if you don’t have a great lighting setup but if you put it too high the output becomes distorted. Brightness/Contract/Color Intensity: These are really not settings you’ll need to worry about – play around with them if you want to try new settings but leaving them in the centre of the slider is a good idea. White Balance: This tells your camera what the color white is. When your camera learns what the color white looks like then it can then calculate what all of the other colors should look like. A problem that I often find when doing this is that because I have a light on my face, the camera will make me look ‘shiny’ and blow out all of the whites that are in frame. This is usually fixed by bringing the exposure down slightly. Leave anti-flicker at NTSC – 60Hz. The more workload that you can take off of your camera, the better it is going to perform. You should put all of your settings as auto as a starting point and then remove auto and tweak it until you have a clear, smooth video output.